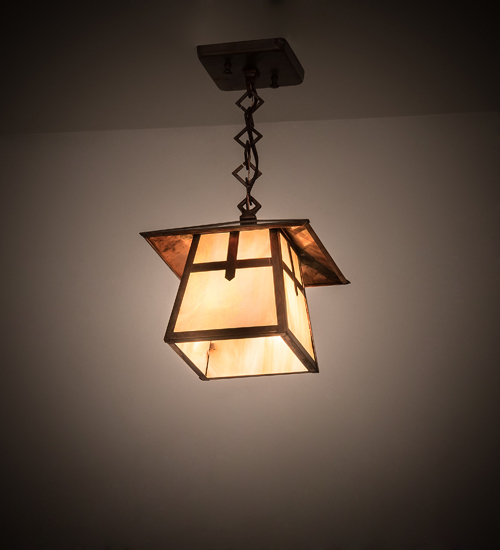 Description: Custom crafted of Solid Brass, this Craftsman Signature pendant was inspired by the Arts & Crafts movement. The shade combines a Mission profile with a Gothic styled cross on Beige Iridescent glass, complemented with hardware finished in Vintage Copper. This fixture is handmade by Meyda artisans in our manufacturing facility in Yorkville, New York. Custom colors, sizes and styles are available, as well as dimmable energy efficient lamping options.